If you’re searching for some new beading products or design inspiration, look what just arrived at the Beadwork office from TierraCast, BeadCats, and Cherry Tree Beads. You’re not going to want to miss these great finds! 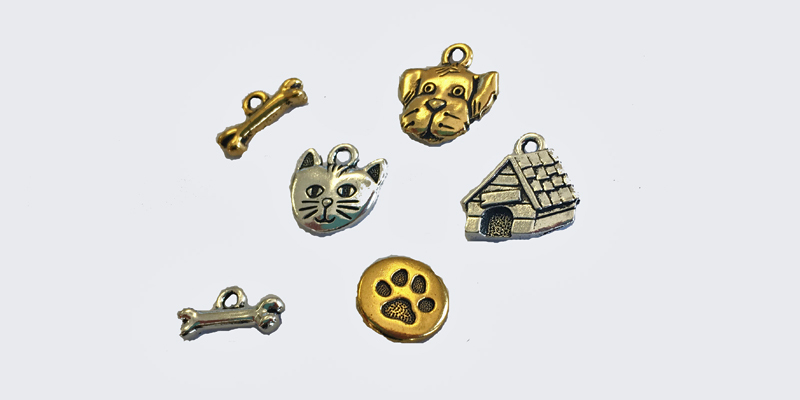 Add a little whimsy to your jewelry wardrobe with these cute dog and cat charms. Featuring designs by California artist Megan Manessalian, the collection includes the Spot dog charm, Whiskers cat charm, dog house charm, bone charm, and paw button. Find them in antiqued gold and silver at www.tierracast.com (wholesale only) or visit your favorite bead and jewelry retailer. Check out this nifty new way to carry your beading needles! 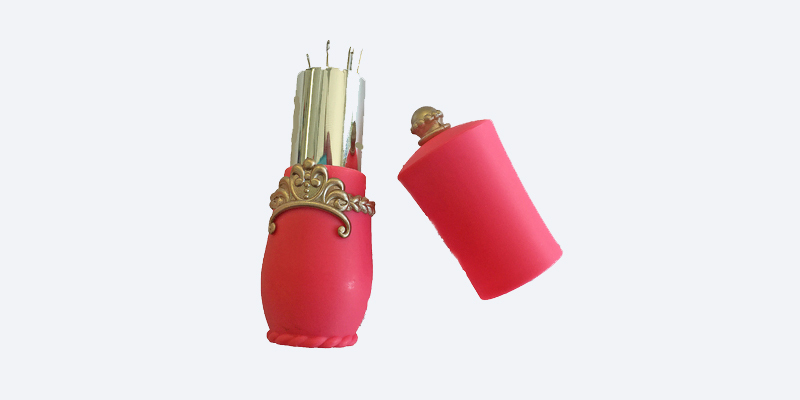 BeadCats’ lipstick needle cases are perfect for storing needles up to 42mm in length. No more accidental needle stabbings; the case twists closed for extra security. Available in pink, purple, and black—get them before they’re gone at www.beadcats.com. Aromatherapy is one of my favorite new obsessions, so these new beading products are perfectly timed! Prayer box pendants from Cherry Tree Beads are an easy way to incorporate your chosen scent into your next jewelry project. 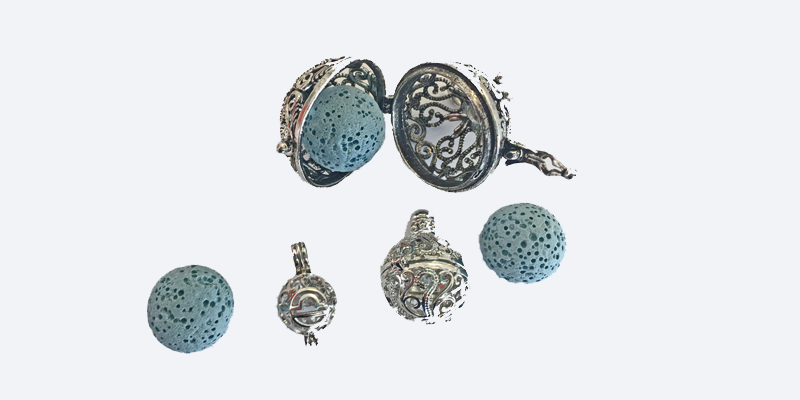 Designed to fit the lava rock essential oil diffuser beads, these pendants are not only functional but also stylish. In addition, check out the new Zodiac prayer boxes. Double your cosmic energy and display your astrological sign while carrying something meaningful close to your heart. Visit www.cherrytreebeads.com. Are you considering using any of these products for your own creation? Submit your project to W.O.R.D. (What Our Readers Did) by sending us a photo and description to beadworksubmissions@interweave.com and including “W.O.R.D.” in the subject line. We’d love to feature your work! Be sure to tune in to our Facebook page to stay up-to-date as new beading products hit my desk. 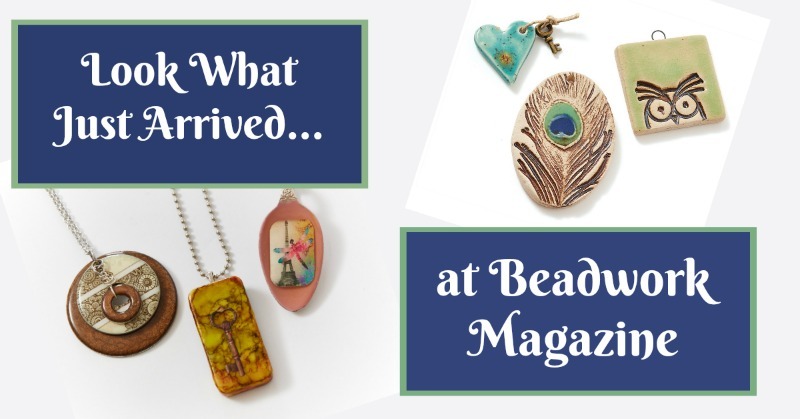 For more trendy products, subscribe to Beadwork magazine today at the Interweave Store.